Congrats to the Chicago Cubs! 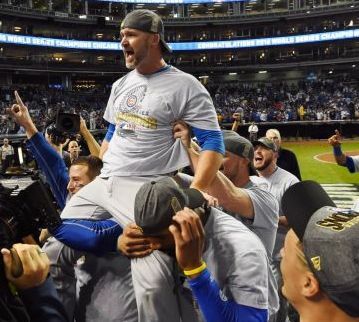 The Chicago Cubs carry their catcher off the field and into his retirement. It took 108 years but…The Cubs Won The World Series!!!!! A Place For Tickets wants to congratulate the Chicago Cubs and the great Cleveland Indians on making it to game 7 of the World Series. It was a fantastic series and a true nail-bitter to the very end, but the Cubs pulled it out in the 10th inning! CONGRATS!! The Miami Marlins will be opening their season at home on Tuesday, April 5th against the Detroit Tigers. Below is a copy of their schedule, and as always you can purchase tickets to the Marlins or any other event by calling (954) 922-8899 or visiting our Website!